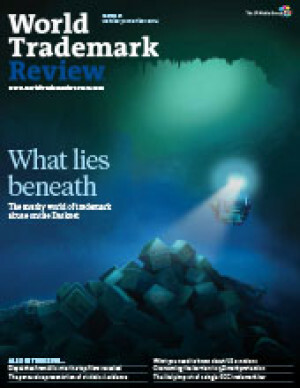 World Trademark Review presents its annual focus on the Office for Harmonisation in the Internal Market, polling users to gauge sentiment on its performance, assessing the impact of upcoming legislative changes and presenting updates direct from Alicante. In this article, private practice trademark counsel from 19 jurisdictions provide a general overview of the performance of their countries’ Community trademark courts. The US International Trade Commission is a powerful and cost-effective weapon in the ongoing brand protection war, but remains underused. The Convergence Programme links OHIM with national offices and user associations in an effort to find common ground in areas where IP offices have different practices. Trademark cases can stand or fall on survey data that demonstrates the likelihood of confusion and actual confusion – the crucial issue is not just what type of data is collected, but how it is presented. Designs are becoming more crucial to manufacturers of consumer goods – distinctive design can not only result in aesthetically pleasing products, but also help to indicate the products’ origin. But could or should designs ever replace trademarks? The Enforcement Database is designed to provide a secure channel for businesses to exchange information with enforcement officials. Registrations for 3D marks are extremely attractive to rights holders – so much so that the European Court of Justice is continually adopting a stricter interpretation of the absolute grounds for refusal. The Gulf Cooperation Council States Trademark Law came one step closer to reality when it was approved by the Cabinet of Ministers in Saudi Arabia. While a single trademark law for the region is positive news, it will mean big changes for each state. A review of IP disputes in Brazil during the FIFA World Cup and the lessons learnt. The United States maintains various economic sanctions around the world, which can directly affect rights holders. Rights holders may also be affected when they do business with Arab League countries that maintain the boycott against Israel. SACI-Adm, the administrative proceeding for the resolution of conflicts involving ‘.br’ domain names, has seen increasing levels of use since its launch in 2010, suggesting that it can provide swift and efficient solutions to IP infringements. A new bill sets out proposals to overhaul Canada’s official marks regime. While the bill itself is unlikely to become law, there is a consensus that the official marks regime is in need of significant reform. Multiple avenues are available to rights holders to protect their brands online. The online domain expansion raises a number of issues for UK rights holders. Non-Canadian entities operating in or planning to enter the Canadian market would be well advised to consider acquiring a ‘.ca’ domain name sooner rather than later. The view that domain names effectively function as ‘electronic trademarks’ is becoming increasingly prevalent, but in some respects infringement of domains can be more harmful. A number of key decisions need to be taken when developing an action plan for policing marks in the new gTLD space. Faced with the new gTLD roll-out, a number of strategies are available to rights holders in both existing and new top-level domains. Strategies for brand owners in anticipation of the new Arab language top-level domain '.شبكة' (‘.shabaka’). For those who have fallen victim to cybersquatting, there are options available to recover the desired domain name. Arbitration proceedings can be an attractive way of resolving domain name disputes.